Interior e-tailer Amara and lifestyle brand Elizabeth Scarlett have collaborated to create a collection of hot water bottles, eye masks and wash clutch bags in an exclusive embroidered pattern. 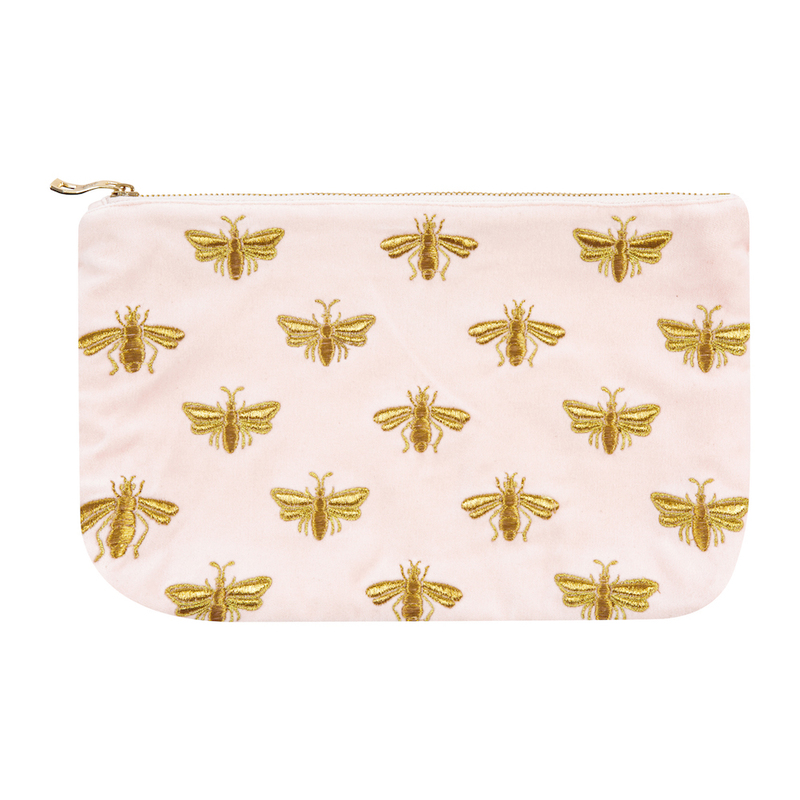 The collection features a bumble bee embroidered pattern in gold thread against a dusky pink and charcoal grey, both very much in keeping with Elizabeth’s whimsical and feminine style. The honeybee motif is particularly popular this season and is a much adored symbol of nature in keeping with Elizabeth’s current collection. Available in two different colour options, the collection is made from a super soft cotton velvet and will be available from Amara.com towards the end of September. Founder and Creative Director Elizabeth Scarlett added; "Collaborating with Amara Living on this adorable collection has been a dream come true. It's great to be working with one of our favourite brands on something beautiful and exclusive. The Bee collection is cute, classy and cosy against gorgeous velvet tones, I can't wait for it to make its way into people's homes and stockings this Christmas!" We’re pleased to introduce Sunnju to you, a new concept which exemplifies the rituals in tea and coffee making launching this Autumn 2018! Specialising in ceramic, glassware and titanium vessels which are artisanally produced in east Asia and designed for considered tea and coffee consumption. Sunnju introduces a nostalgic yet current design into their ceramics range. 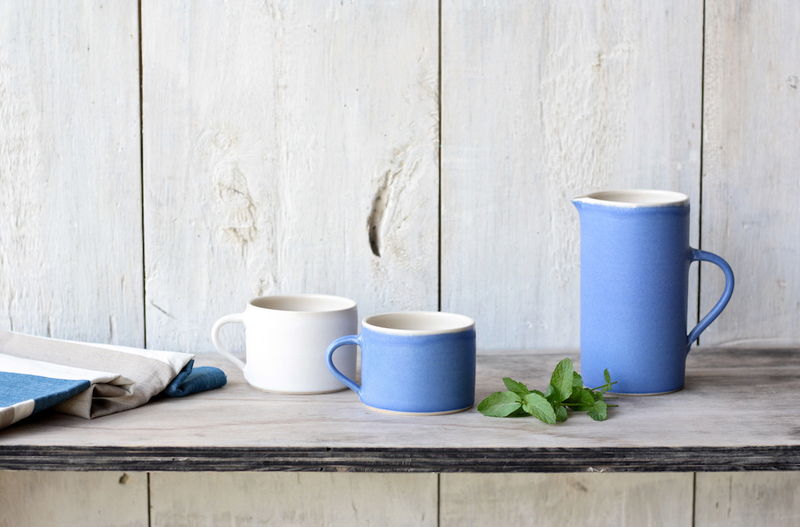 Combining unique pattern with hand pressed ceramics, this delightful glazed stoneware collection will bring playful, contemporary design to your morning cup of tea or coffee, Using a speckled affect that has been popular in the architectural design, each piece has its own unique personality that brings their minimalist look to life. Sunnju launching in Autumn 2018. Introducing Linen Union by Annie Sloan, a beautifully considered extension of the Annie Sloan fabric collection. Each cotton linen features two yarns in colours chosen from the Annie Sloan palette, with the weft and warp woven together to create a multi-dimensional effect. Tumbled for softness, the Linen Unions are woven from a heavy cotton mix for texture and durability. Suitable for all upholstery projects, the new plains are designed to complement Chalk Paint™ and Wall Paint, facilitating the creation of tonal schemes. This beautiful fabric is perfect for a minimal chic look. 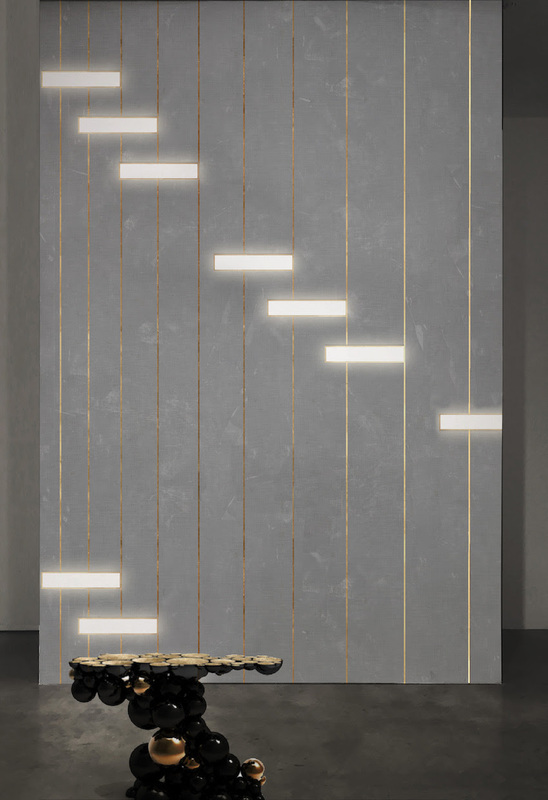 Meystyle will unveil its latest collection of LED wallpaper Conductivity which combines dazzling natural textures with an unprecedented use of light patterns. MEYSTYLE’s mission is to rescue walls from the background, integrating bold patterns with LED lights and crystals to create deep visual experiences that transforms walls and wallpaper into works of art. 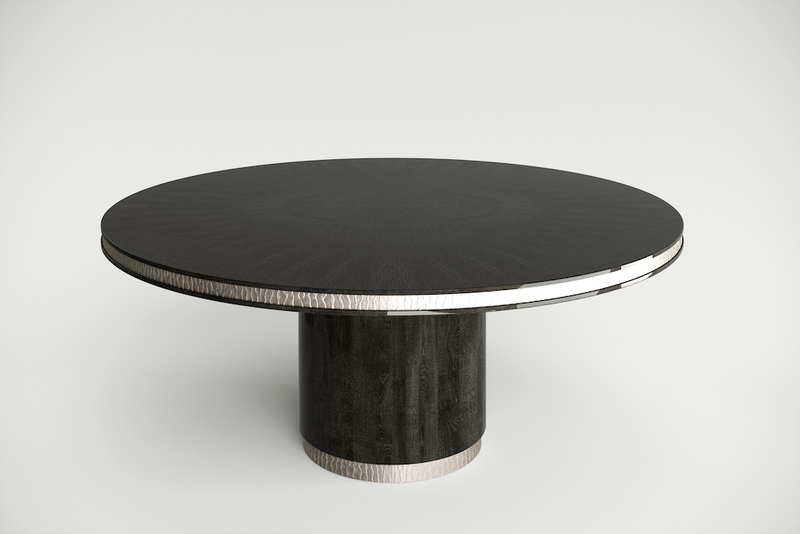 The Conductivity collection is a celebration of the ubiquitous yet mysterious power of electricity. The designs dig into the infinitesimal world of the atom and its scientific representation as a source of visual inspiration. Simple geometric elements like the line and the circle are used to give sense and order to the impenetrable complexity of chemical and physical phenomena. The use of LEDs in this collection is inspired by the exchange of subatomic particles generating the prodigy of light itself. Different wavelengths and levels of light intensity combine into dynamic compositions suggested by the way electrons interact. From cascading lines merging into sumptuous light waterfalls, to concentric circles representing the varying configurations of the atom, each design expresses the beauty of the natural world in its most essential form. The Conductivity collection echoes its fascination with nature also in its choice of materials, ranging from refined linens and cotton canvases to elegant silks. A variety of metal accents, notably electricity's best companions enrich the natural properties of each texture with hand-painted details and gilded applications. It has been more than 10 years since sisters Maria and Ekaterina Yaschuk first incorporated 99 LEDs into wallpaper in 2004 - the concept has been constantly refined since. The LEDs are fully integrated into the material of the wallpaper and textiles, allowing them to be used just like any traditional wall-covering or fabric – but with the added requirement of an electrical socket or switch. MEYSTYLE integrates traditional crafts materials to compliment Swarovski crystals and LEDs. Some designs are hand-finished with screen printed elements and metallic painting to create a tactile feel. Meystyle LED wallpaper to be launched at Decorex International 2018. As the trend for Art Deco detailing on our furniture and upholstery looks set to dominate interior spaces into next year, sofa.com unveil new additions to their upholstery collections. Harper – with it’s classic proportions and timeless sense of style, evoke the very best of 1930’s style. Harper is the definition of eye-catching - either as a statement chair for an occasional space, or as an elegant, well-proportioned sofa for your living room. 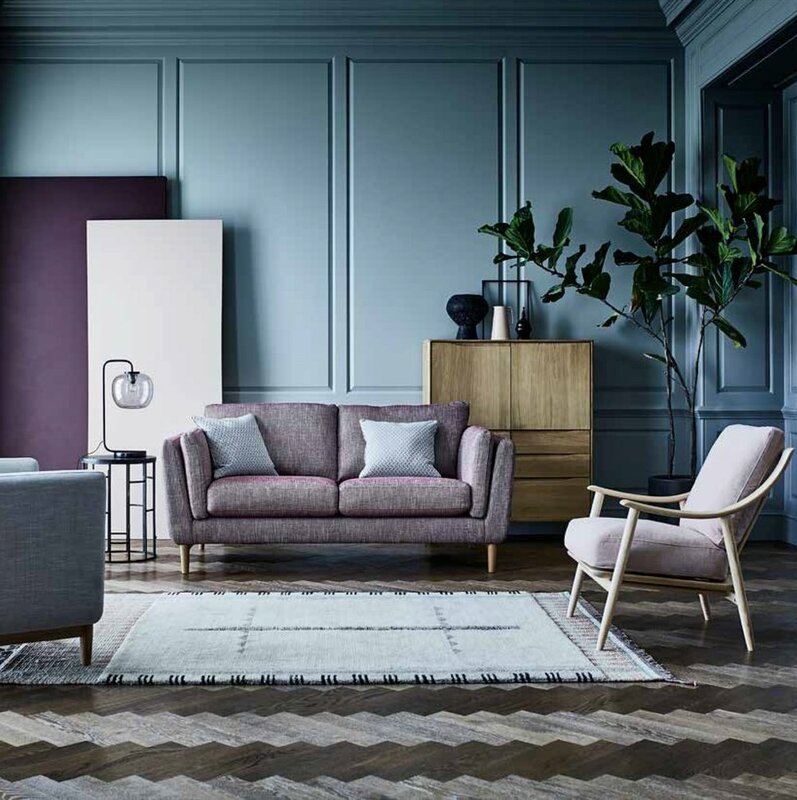 Harper can be upholstered in a variety of sofa.com’s acclaimed fabrics, but looks particularly well-dressed in sumptuous velvets – which will undoubtedly help to achieve that Art Deco look. Pair with jewel and metallic tones to create a stunning visual in your home. A by Amara AW18: The Vase Edit! Vases are one of the most versatile interior design accessories to help transform any living space in an instant. Whether you use it to display some beautiful blooms or just to jazz up a mantelpiece, a striking vase can go a long way. 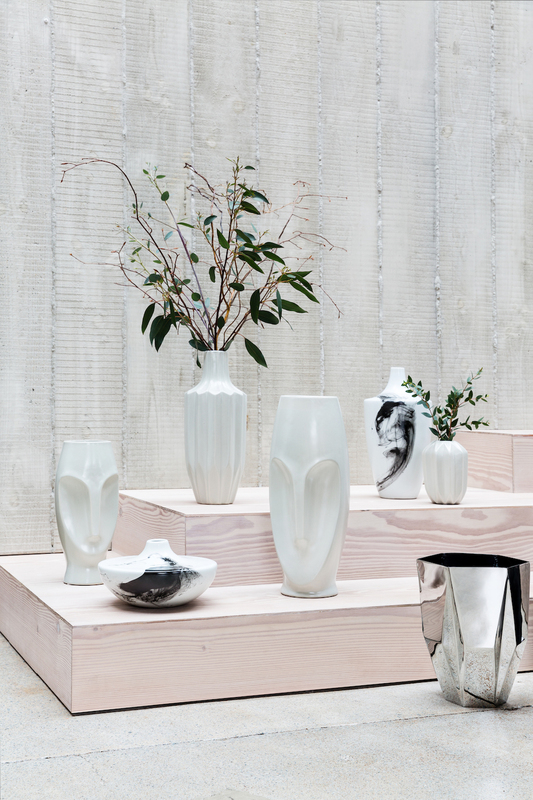 Discover A by Amara’s AW18 selection of vases that will create a focal point in any room setting. Inject timeless design into any interior with the A by Amara collection. 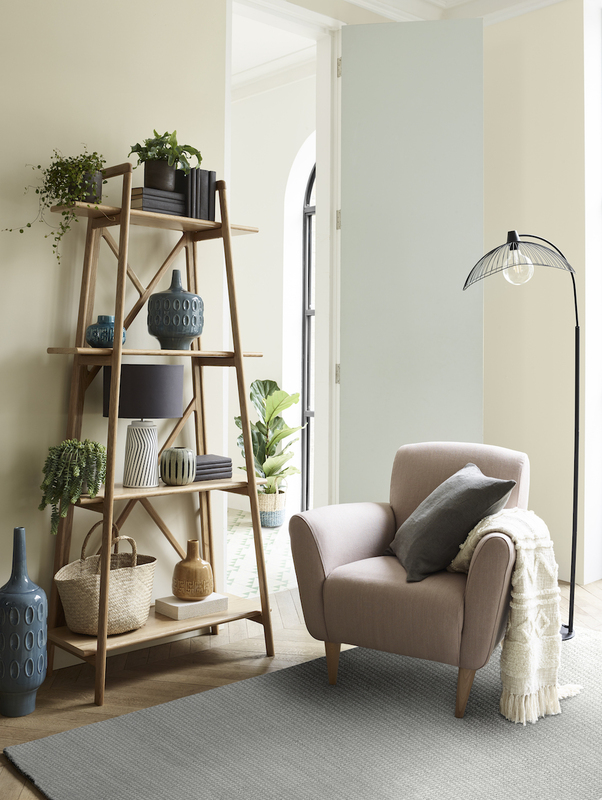 Carefully curated in a range of unique looks to suit any home and taste, from trend driven bed linen and towels to elegant cutlery and glassware. A seamless addition to existing interior styles, A by Amara offers accessible luxury for the discerning home. From everyday must-haves to timeless design pieces, A by Amara has everything you need to create a chic look in any room in the home. Discover brand new designs to refresh your interior and make your house a home. Louis Poulsen is pleased to present a limited edition of the PH 3/2 table lamp, originally designed by Poul Henningsen in 1927. The exclusive new edition features Italian mouth-blown, amber-coloured glass shades and a brushed brass frame. This limited edition will only be available from 1 October to 31 December 2018. Louis Poulsen and Poul Henningsen initially introduced coloured glass lamps in the late 1920s to attract new customers. Then, as now, the naturally varying colourations won people over with their warmth and individuality, highlighting the beauty of hand-craftsmanship. In 2017, Louis Poulsen brought back the classic amber-hued shades in the limited-edition PH 3.-3 pendant with a brass suspension. Now, Louis Poulsen is pleased to offer the warm, inviting colour scheme in the versatile and beloved PH 3/2 Table lamp. The light switch on the limited-edition PH 3/2 Table lamp can be traced back to Henningsen’s 1927 table lamps. Also made of brushed brass, the through-switch is located on the stem near the base. Henningsen’s initials are beautifully engraved beneath the switch. The limited-edition PH 3/2 Table lamp will be available in stores from 1 October to December 31st, 2018. 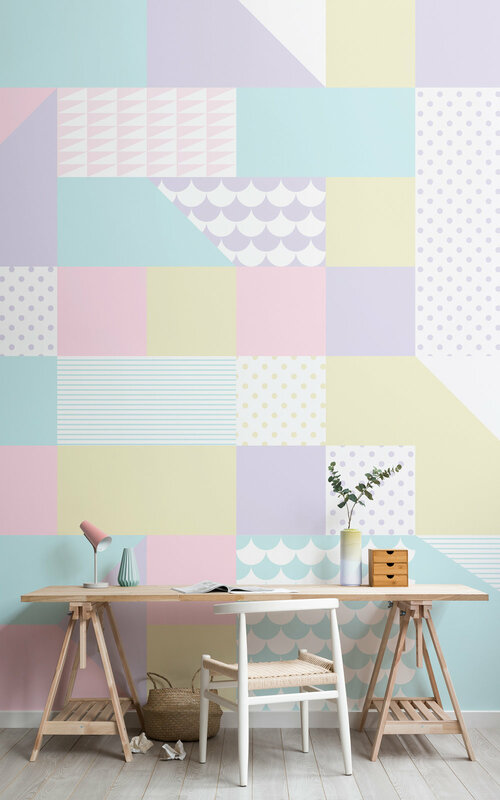 MuralsWallpaper have stacked up several of the soft-serve runway shades to create a cool collection of geometric murals, brimming with mint, parma violet, lemon sorbet and strawberry shortcake influence. Joyous artesanía such as the kaleidoscopic folk art found in Oaxaca, traditional floral oilcloth designs and the bright flower arrangements that artist Frida Kahlo famously wore in her hair are all iconic Mexican decoration aesthetics, and all served as inspiration for this statement collection by MuralsWallpaper. Each mural features layered, textured Mexican rose designs which reflect the style of ceremonial paper flowers and embroidered floral huipils. These are paired with warm, striking block colour backdrops, as well as neutral options for homes that are already drenched in vibrant decor. Frida Kahlo was known to fill her home with Mexican folk art and bright colours – such as her yellow kitchen which was full of colourful ceramics. 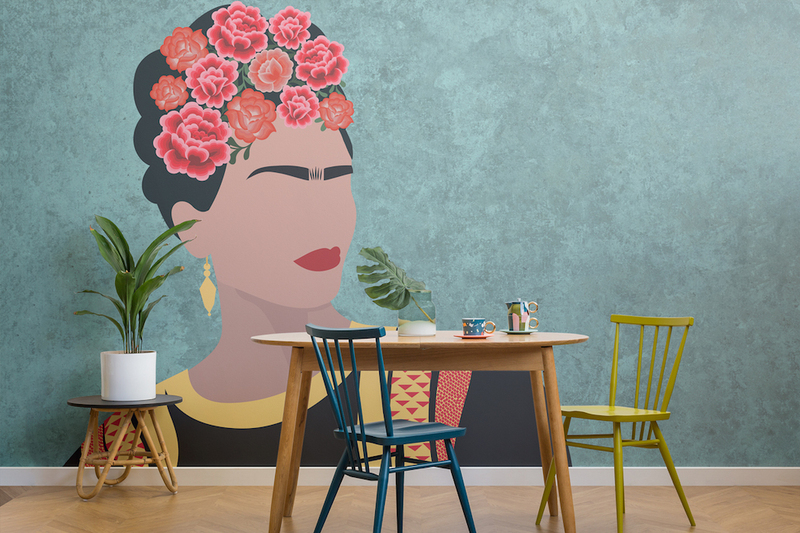 Let Frida's use of bold, cheerful colour in her fashion and interiors inspire a takeover of Mexicana style in your own home - carrying on the spirit of La Casa Azul. 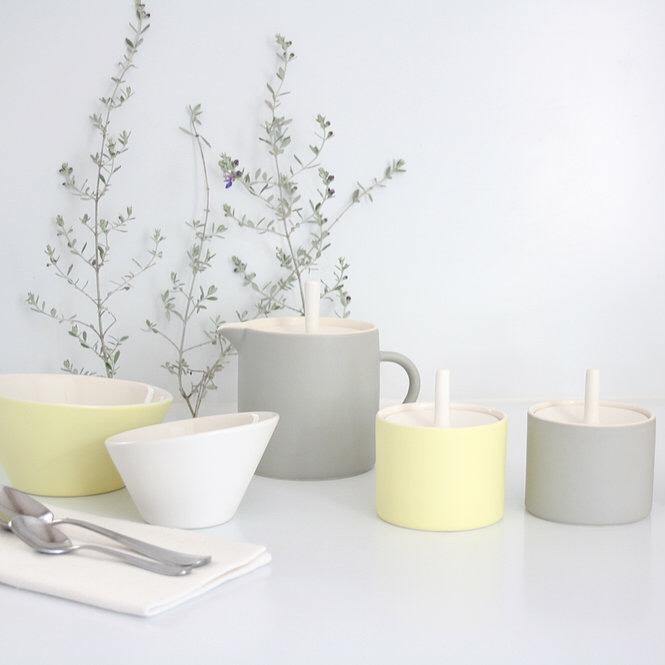 Interiors emporium Amara present their fifth collection from the established and successful A by Amara brand. This season brings together even more desirable must have pieces to be coveted for the home. 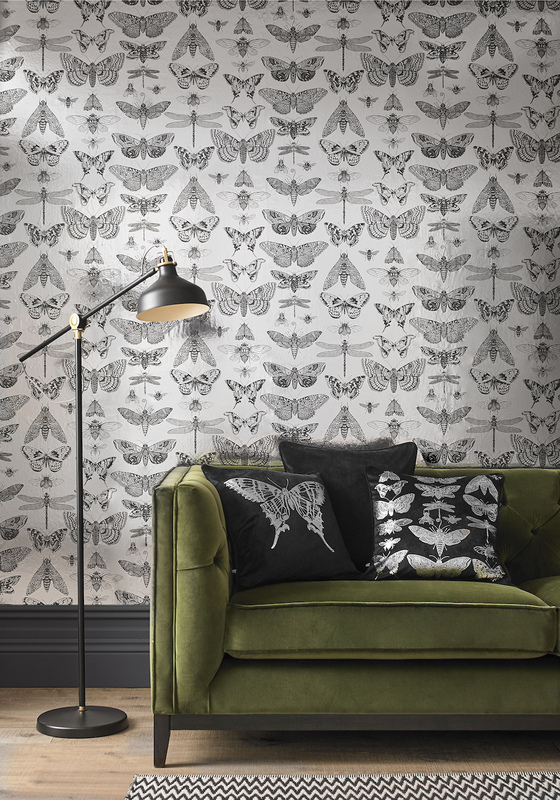 Sam Hood, Co-Founder and Creative Director of Amara, and her team have concentrated on two trends for the season; Midnight Garden and Architect that both bring a fresh new outlook on two favoured interior styles. The A by Amara collection continues to evolve and develop each season. The range provides customers with pieces to sit beautifully alongside their existing interior and also directional items to create a stylish look. This rich vivid look embraces those deep tones associated with the winter months with a regal and warm edge. Highlighting rich floral patterns and exceptional beadwork, this look will add a level of opulence to any interior space. One highlight of the collection is the embroidered and beaded soft accessories which, styled together or used as a stand-alone piece, will provide a striking addition to any bed or chair. A fresh and clean look, this trend boasts geometric straight lines in a simplistic style. Loft living with a masculine edge was the inspiration this season with the use of simple colours of white, black and a warming brown. Adding metallic accent tones gives the collection a lift and embraces a warmer look within such an industrial collection. Sketch work patterns are used in various ways including this striking bedding range. The A by Amara AW18 collection launches online early August 2018.